Home 2017 August 24 The Health and Care Professions Council (HCPC). The Health and Care Professions Council (HCPC) is the statutory UK regulator for fifteen healthcare professions including Podiatry. In addition they regulate Social workers in England. A large part of their remit is the mandatory registration of the qualified members of each profession. Currently, the HCPC regulates the following professions. Arts therapists, Biomedical scientists, Chiropodists/podiatrists, Clinical scientists, Dietitians, Hearing aid dispensers, Occupational therapists, Operating department practitioners, Orthoptists, Paramedics, Physiotherapists, Practitioner psychologists, Prosthetists/orthotists, Radiographers, Speech and language therapists, and Social workers in England. Regulation ensures that every member of each profession is properly qualified, and that they practice to an acceptable standard. Each profession also has legal protection of title. So for example a chiropodist or podiatrist (the titles are synonymous) may only be called a chiropodist or podiatrist if he or she is registered with the HCPC. It is against the law to use one of the protected titles without being registered. An important duty of the HCPC is to oversee continuing professional development (CPD) for each profession. As well as each registrant attesting their fitness and ability to practice on their two-yearly registration renewal, a central audit of a random sample of practitioners from each profession is also carried out. These actions are aimed at ensuring that standards are maintained. 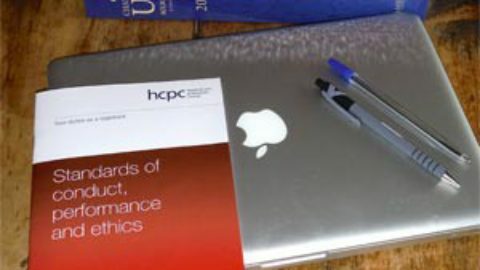 The HCPC is not to be confused with a professional body, or college. Each profession regulated by the HCPC will have at least one dedicated professional body whose role is to support their members, provide personal indemnity insurance, and some CPD. In Podiatry, after qualification and registration, we have the choice of joining one of three professional Podiatry bodies, and several Podiatry colleges. 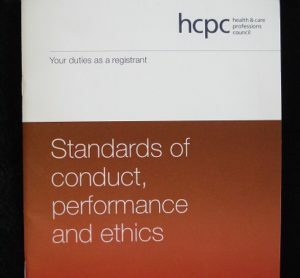 However, although professional bodies may have the power to censor their members, only the HCPC has the power to remove an individual from the register, and by doing so remove them from their chosen profession. Luke Morris wos 'ere -1810.Common soccer foot problems.